Introduction: The Fragrant Zither (TFZ) is a familiar name in audio circles having started back in 2015 with their eye catching designs and colors with the Series 1 to 5 and followed by their newer Exclusive series, King, Galaxy and their flagship, The Secret Garden. 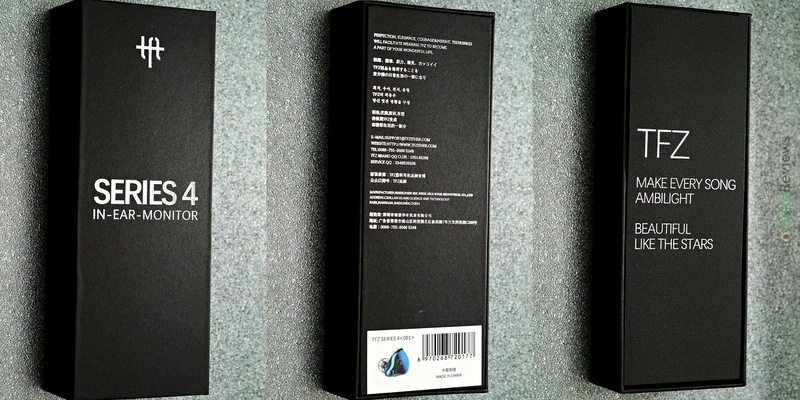 I'll be reviewing their Series 4 (Blue) today. I would like to thank The Fragrant Zither (TFZ) and Penon for providing me with a review sample in exchange for my honest and unbiased review. You can buy the TFZ Series 4 at the Penon Store or locally if your retailer has them in stock. 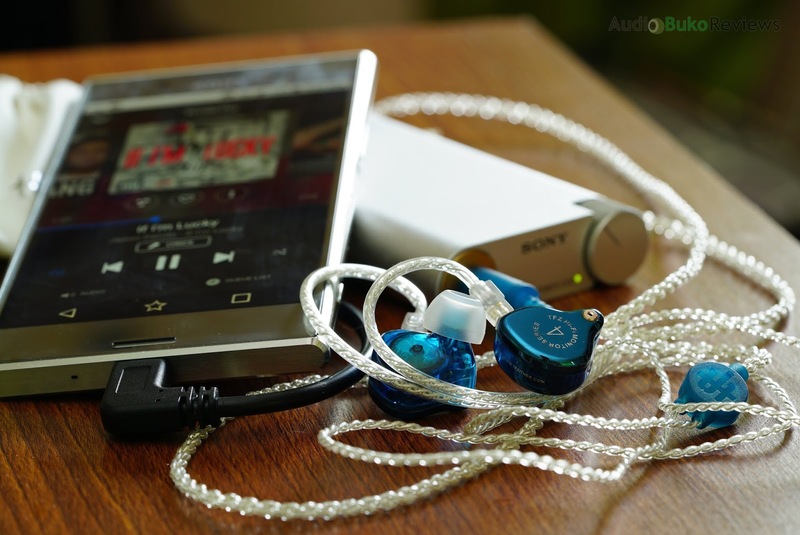 Even with a big driver, the low 16Ω impedance of the Series 4 allows it to be easily used on mobile phones and with the 108dB sensitivity, achieve a loud volume of approximately 99dB at max volume on my Xperia XZ Premium. Sound quality does scale when using better sources up to the level indicated in this review using my WM1a. Unboxing: The Series 4 came in a charcoal black rectangular box made of hard cardboard with branding and information written in silver. 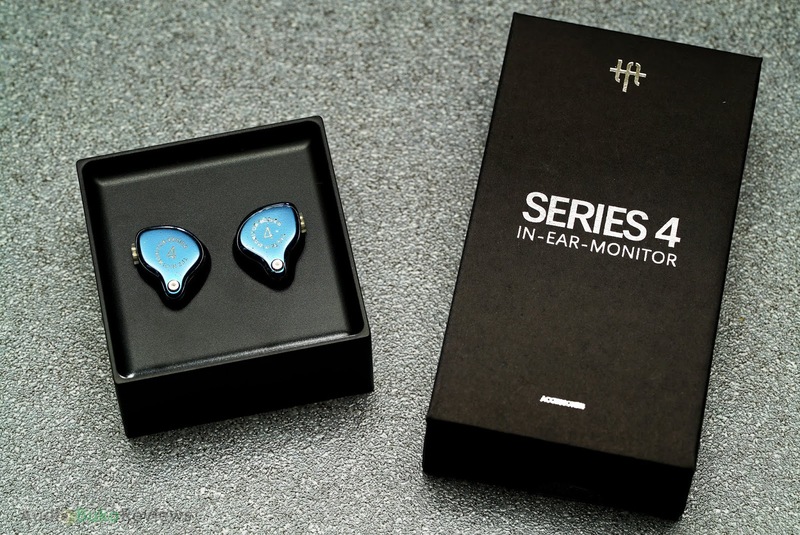 Removing the top cover shows the level of dedication to presentation that TFZ gives it's products with a stiff card (with foam behind the area where the IEMs sit) protecting the inner contents and showing the company catchphrase for the Series 4. Under that lies the IEM, embedded in a plastic tray and a separate box underneath it that contains the accessories included. Overall the packaging is thorough and generous with the tips being as useful as the pouch and are all of good quality through and through. Cable: The Silver plated Copper (SPC) cable is a mere 13 grams in weight, pretty light overall as well as quite flexible and smooth in texture. The cable is nicely braided and feels sturdy as you can stretch it a little bit due to the balanced braiding which aids in it's strength and flexibility. The 0.78 mm two pin connectors are simple transparent plastic pieces with a rather hard to see L and R letter mold to identify left and right. Those blocks hold the gold plated pins together and have an ear guide sheath acting as both strain relief and ear guide. The Y-splitter is a pendant type that sports the TFZ lettering and is made of blue translucent plastic. 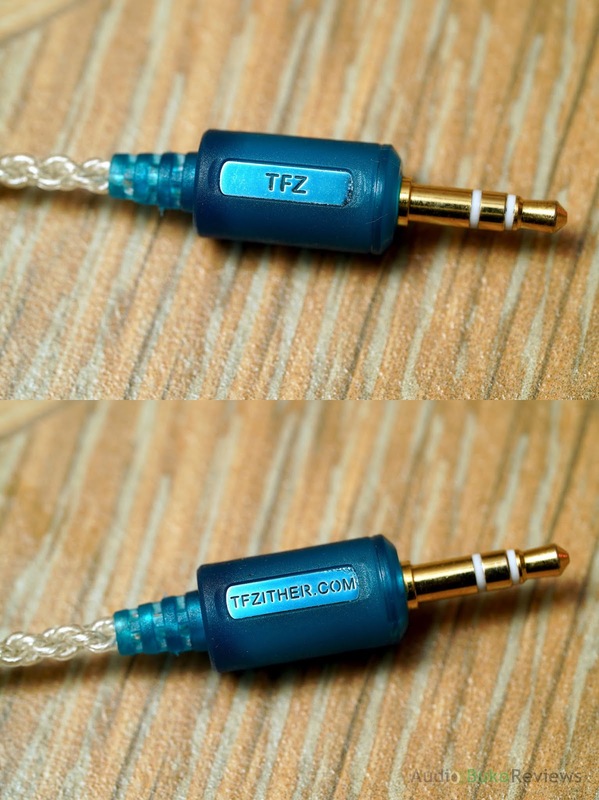 The plugs are made of the same translucent material as the splitter and have a blue metallic plate on opposite ends that show the TFZ branding and website. There is a nice semi-flexible strain relief extending from the plug body and a nice looking gold plated 3.5mm plug. Overall the cable design is made to attract attention and impress, to which it does with the workmanship and aesthetics, though some may find this a little too much, your mileage may vary. 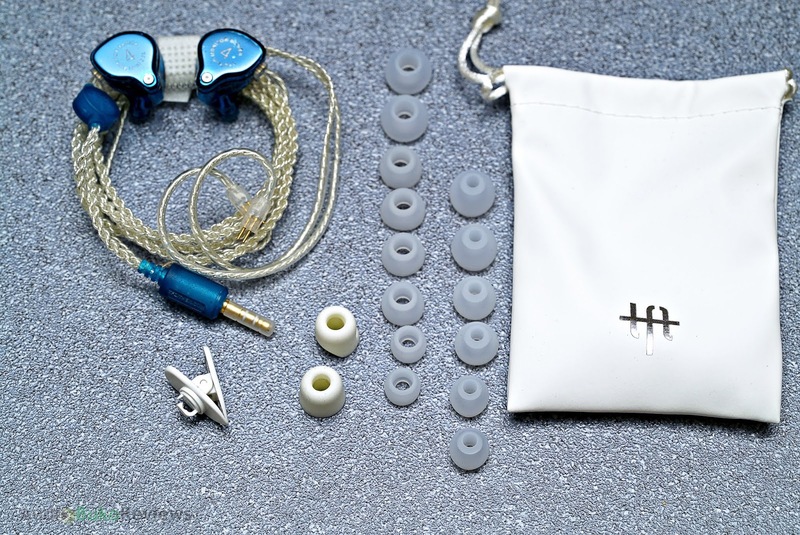 Build/Design: The Series 4 is a good fitting IEM that coupled with it's lightness can easily be worn for long periods of time and even sleeping with them in your ear. The metal like faceplate is quite near mirror like shiny and prone to fingerprints and it's where the Series 4 branding is printed on. The shell is a nice near transparent blue acrylic that is smooth and rather solid. There's a vent on the inner side near the nozzle and another on the faceplate. One helps with preventing driver flex when inserting and the other is the bass exhaust which is very likely one of the contributors for the Series 4's good bass dynamics. The nozzle is short but is slightly extended by an angled area from the base of the shell, there is a nice and prominent tip lip that allows for easy insertion of tips and provides a good secure tip connection. There is a metallic screen in the nozzle to prevent debris from falling into the Series 4. The 0.78 2-pin connector is embossed and surrounded by a clear acrylic block, insertion is easy and removal is moderately tight but not that hard to unplug. Dangling the Series 4 by the ear guide and bobbing it does not disconnect the connector to the IEM which is a good sign that it wont fall off easily. Bass: There's a very good level of sub-bass extension on the Series 4 that gives Way Down Deep's pounding drums a deep feeling that rumbles pleasantly and with a good natural sounding linger or sustain for guitars like on Lithium, which sound smooth with a hint of crunchiness. Bass impact on the Series 4 is above average with a good punch that is a bit tightly controlled, rendering the bass line beats on Cheap Thrills palpable, punctuating and a bit quick. Bass on the Series 4 seems to be a something TFZ has mostly mastered, displaying a tuning that is almost the right amount of bass strength, quantity, control, decay and quality that will sound engaging, relaxing and playful though it won't be enough for true blooded bass-heads. Mids: The Mids on the Series 4 is pretty darn good, there's a very good amount of detail retrieval with good layering and above average separation that gives the mids an understated greatness. The lower mids are a little bit forward with good clarity and average thickness, mostly thanks to the good amount of control with the bass. Male singers have a nice presence on the Series 4 giving Bohemian Rhapsody a good and clear presentation of the song. It's the upper mids that really shine on the Series 4 though, there's a boost that moves the upper mids forward giving it a bit more presence, air and results in a more intimate female vocal performance from the likes of Sarah McLachlan and Norah Jones; this incidentally also presents guitar strings in a crisp and clear manner. 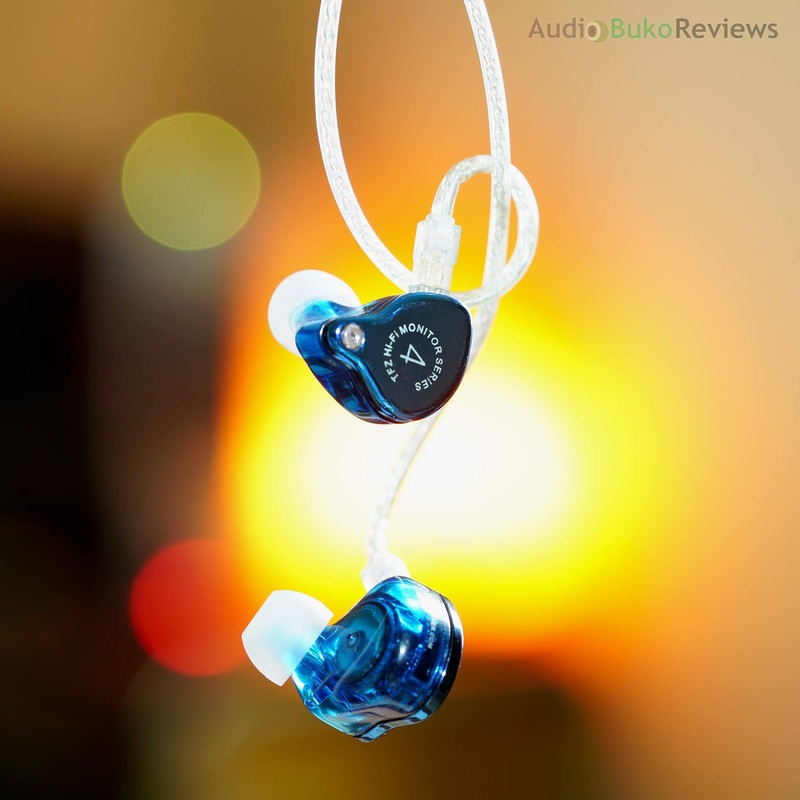 Some have mentioned that there's some shoutiness here but listening to my sources and with Jewel's songs, I hear none of it as there's pretty good control that results in an overall smooth mid-range performance. 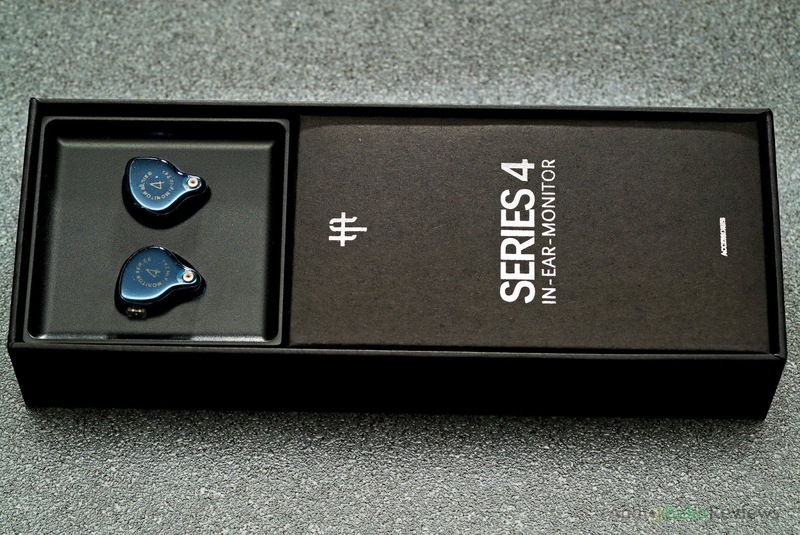 Treble: There is a little above average extension with the Series 4 that sounds natural in reach, a treble presented with good energy and air but also controlled well enough that harshness and sibilance do not occur. Details are on the average side, the same as clarity which does give a bit of crisp and some sparkle to the music, lending a bit of fun into the highs. Overall there is a sense of natural tone, smoothness and control that gives a good non fatiguing performance. Soundstage: There is a good level of stage with the Series 4 where the horizontal width is generally the same as the vertical depth. Sounds come from outside the ear canal and extends around 3-4 inches around the head. The front back of the head stage reaches around an inch. Overall there is a natural expansion of sound and a good feeling of space. Congestion isn't very apparent but can sound a bit close to each other on busy tracks. Imaging though not pinpoint accurate, is generally accurate. 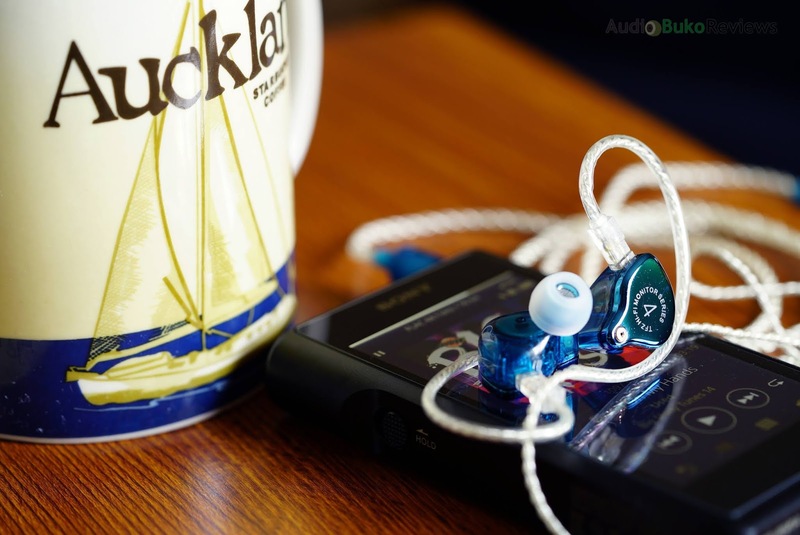 Conclusion: The TFZ Series 4 is a good all rounder IEM that has great ability with bass, a good level of presentation with mids, specially with female vocals and really nice non fatiguing treble. There's a balance in the frequencies, and embellishments were applied to give a good listening experience in all genres but also found that the Series 4 does really well with Jazz music from the likes of Clair Marlo (Till They Take My Heart Away), Tony Bennett, Diana Krall, and the usual suspects like Norah Jones. There's a nice emotive way the music is rendered that is relaxing, enjoyable and engaging. Couple the sound with a good and eye catching design a a quite generous and very usable accessory set, the Series 4 is a sensible buy for someone looking for a good all rounder at this budget range. Pros: Great responsive bass, a balanced mid-range and treble, good amount of detail and clarity, smooth and non fatiguing, good fit, build quality and design, good set of usable accessories. Cons: Lower mid-range can feel recessed compared to the forwardness of the upper mid-range, treble extension and clarity could be a bit better.